I'm testing again. I dropped it for some time as I had issues (too many mods, probably). The question is: "it's possible to style command bar in 10?". There was a tool for 7, but it breaks explorer if used on ten. Thanks for updating this! 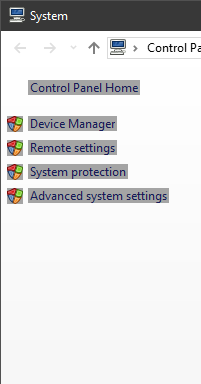 After Windows 7, Explorer is unusable with ONE. It's the same link and it always was. This new version is awesome. I have it working great on RS4! Thank you so much! Yeah, fixed silver cream style in 1.1.8.4. Sudden departure should also be fixed. Is "sudden departure" what you're calling the drive grouping/toolbars randomly disappearing? This might be out-of-scope/irrelevant for this project but do you think a function to disable the colored "ribbon titles" when highlighting certain elemens in the "new" explorer, could be made? Here it Is. I did remove all other extensions, but the result was the same. No other 3rd party software was running. Nightly may have been the key here. Nightlies are unstable/have incompatibilities that a non-beta software wouldn't.